The two-person Mini fits perfectly anywhere. 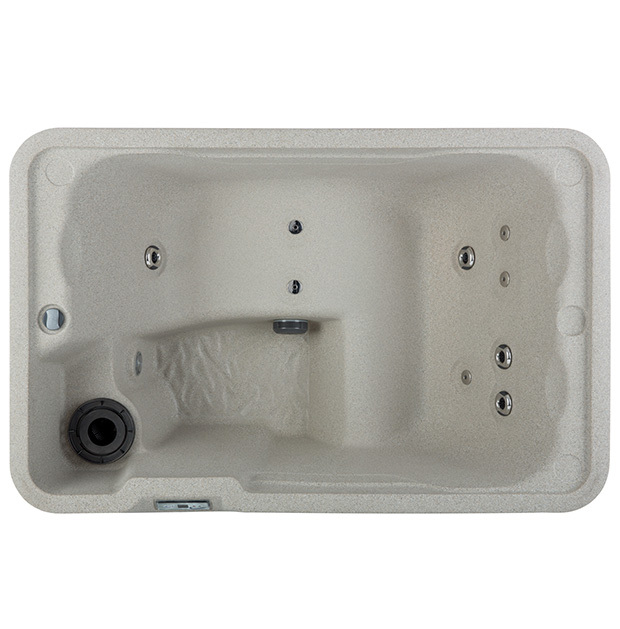 This mini oasis comes with a serene waterfall and Plug-N-Play technology, which means it does not require additional electrical hardwiring. The Mini is more than just a hot tub, it’s a personal retreat. Effective Filtration Area 25 sq. ft. Install an ozonator for cleaner water with less chemical use. 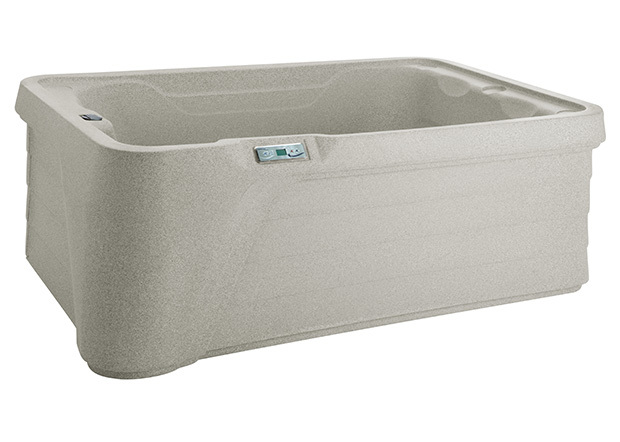 Freeflow hot tubs are ozone-ready, so adding or replacing one is a snap! Freeflow offers spa steps to provide safe and easy entry and exit from your hot tub. Freeflow spa steps come in different varieties so you can match the design of your hot tub. No matter which model you select, you can count on superior quality, comprehensive warranties and outstanding customer care. Our dedication to high-quality construction and unparalleled customer care means you can enjoy your spa for years to come. You can count on support from our of experienced and professional staff and our straightforward warranties to ensure your spa is always running at its best. We don’t expect you to take our word for it though. A well-designed hot tub has an inviting visual appeal that draws you in and helps you relax. We pay a great deal of attention to the styling of our products for that reason.